Because a machine shop will have a lot of tools to be dropped, lathes that spit out metal and who know what else onto the floor, that’s why Silikal is the best machine shop flooring, it can take it! 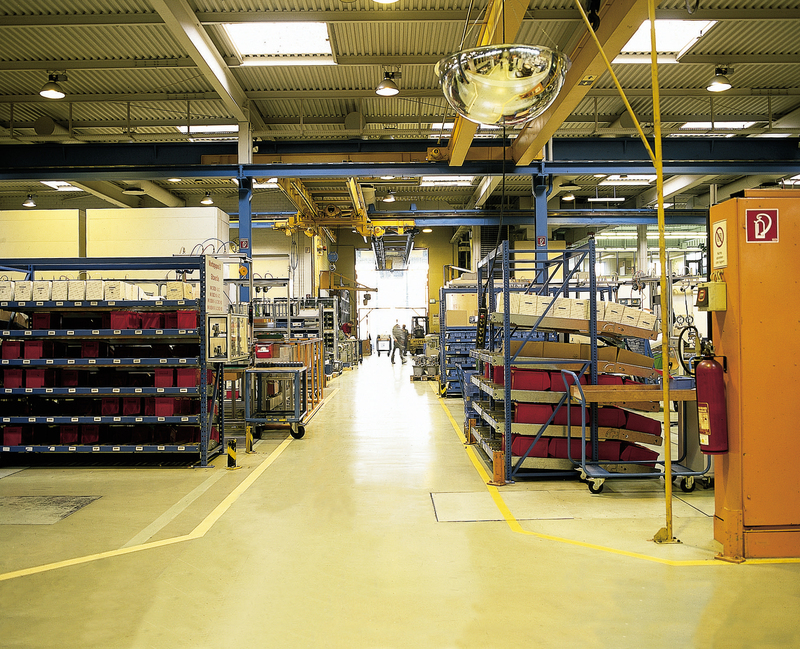 A machine shop floor needs to be exceedingly damage tolerant. Floors in a machine shop will of course need to be able to repel various ships as well as oil. 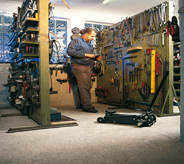 Machine shop flooring is specialty flooring, meaning that not just your run-of-the-mill flooring will do. There are all kinds of machine shop flooring in use, some are quite satisfactory, a few are very bad, however here is a list of the various kinds in no particular order: Vinyl and some asphalt tile, wood that has been covered with steel plating, poly block, wood block (once considered the very best due to being able to keep down machinery vibrations, but extremely sensitive to water or even humidity), concrete or just plain wood. However, experience shows that not all machine shops are totally “civilized” machine shops. That means that there are heavy forklifts in use, milling machines are sometimes dragged across the machine shop flooring, and more often than not pipe rollers seem to decimate such flooring. Welding and of course grinding take their cast offs on the floor beneath, and at times there is the accidental dropping of a 200 pound part, or a 1 ton valve body will be laid on the floor. With flying machine tool grout, casting and forging going on, the floor will receive punishment that can only be seen to be imagined. If you have doubts about that punishment look up chips and swarf, which will be quite well understood by metal grinders. Traffic patterns are also very demanding on such flooring, and just the weight of the products being moved has caused flooring to fail, not to mention the inherent weight of the various types of machinery used to work on these products such as punch presses. 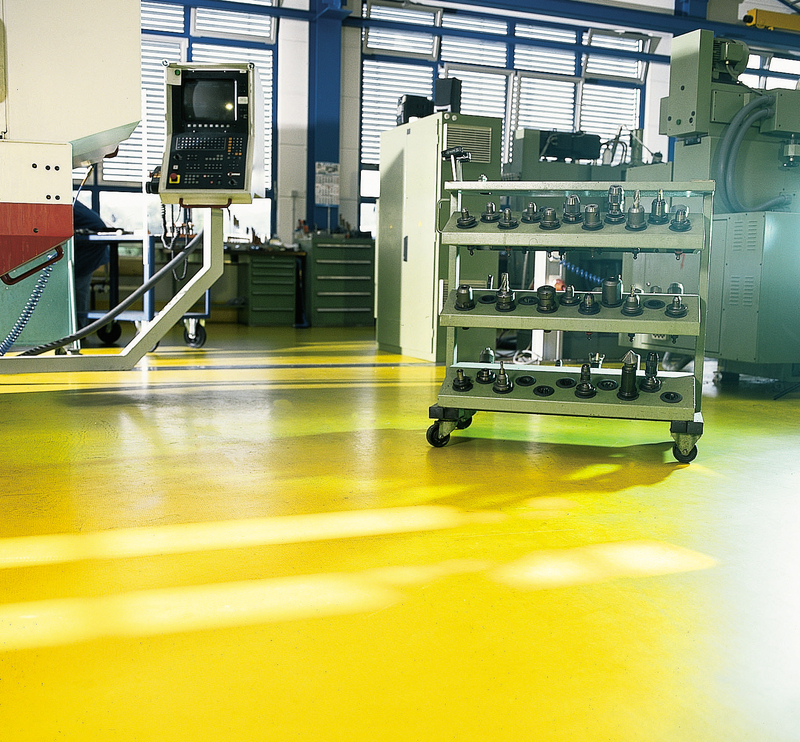 Flooring needs to be resistant to all manner of chemicals, not the least of it being coolant that is tracked upon that machine shop flooring. Very thankfully there is machine shop flooring that will easily take all of the flooring punishment doled out by machine shop flooring, and will come back for more! That is none other than Silikal flooring. Silikal is a company that has worked with all kinds of flooring for over 55 years, and their experience with machine shop flooring knows no bounds. Silikal machine shop flooring will deliver a floor that never has to worry about such things as chips and swarf, nor even flying machine tool grout, much less about humidity or even water. Silikal is impervious to it all. There is no amount of machine vibration that will cause a Silikal floor to develop even pin holes in it, much less anything larger than a pin hole. 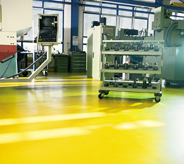 Silikal machine shop flooring is completely and totally monolithic, seamless and non-porous. The heavy forklifts with the hot scorching bald tires on them carrying huge weighty objects will not in any way mar a Silikal floor. 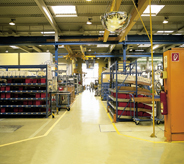 Silikal flooring, even machine shop flooring, has been called the lifetime flooring. All of this is due to the highly secret and fully patented enhanced MMA (Methyl Methacrylate). Silikal machine shop flooring will be ready for any machine shop action, including forklifts; one short hour after installation is complete too!